Jaish-e-Muhammed which claimed responsibility for the Pulwama attack does not exist in Pakistan, the military's spokesperson has said, days after Foreign Minister Shah Mahmood Qureshi admitted that the terror outfit's chief is present in the country. The already sour relations between India and Pakistan have worsened after Pakistan-based JeM claimed responsibility for the February 14 Pulwama attack that left 40 CRPF personnel dead. Director General Inter-Services Public Relations (ISPR) Major General Asif Ghafoor when asked if the two countries were close to war after the attack told CNN, "We were I would say close to war because when they [India] violated the airspace under token aggression, we went for response." "Along the Line of Control (LoC) we were eyeball-to-eyeball. There is presence of troops at the LoC for decades. But post the Indian aggression and our response, the safeguards have been taken by both side," Ghafoor said on the situation along the LoC. He said that troops had been increased because it is natural as part of military planning. When the situation gets hot there are safeguards. Those safeguards are in place on both sides." After the Pulwama attack, the Indian Air Force carried out a counter-terror operation, hitting what it said was a JeM training camp in Balakot, deep inside Pakistan on February 26. The next day, Pakistan Air Force retaliated and downed a MiG-21 and captured its pilot Wing Commander Abhinandan Varthaman who was handed over to India on Friday. "Their [Indian] claims are false," he said. He further said that the JeM claim of responsibility for the Pulwama attack had not been made from inside Pakistan. "Jaish-e-Muhammed does not exist in Pakistan. It has been proscribed by the United Nations and Pakistan also. Secondly, we are not doing anything under anybody's pressure," he claimed. 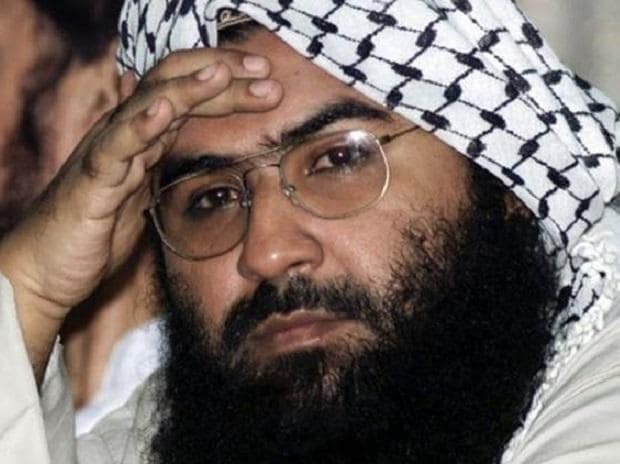 Last month Qureshi during an interview with CNN said that JeM chief Masood Azhar is in Pakistan, but said the government can act against him only if India presents "solid" and "inalienable" evidence that can stand in a court of law. Ghafoor said instead of blaming Pakistan, it is time for the world to assist and facilitate Pakistan in getting rid of such organisations. On Pakistan's release of Indian pilot Abhinandan Varthaman as a gesture of peace, Major General Ghafoor stated, "Now it is up to India whether they take that peace gesture and move forward towards de-escalation or continue the agenda that they have." "We feel that now the ball is in the Indian court. Should they decide to escalate more, the situation will go bad," Ghafoor said.